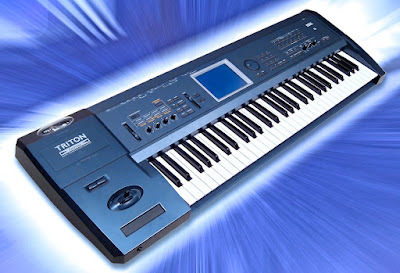 Korg already had over a decade of tradition of making top synth workstations when they released the original Triton in 1999. 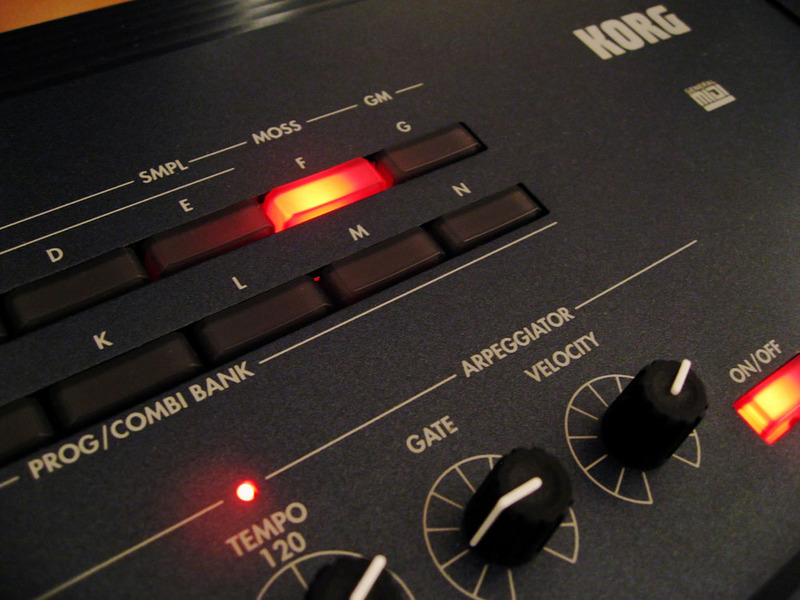 The workstation concept was born in 1988 with the legendary Korg M1, which was a synth that affected permanently me too when I was a kid. 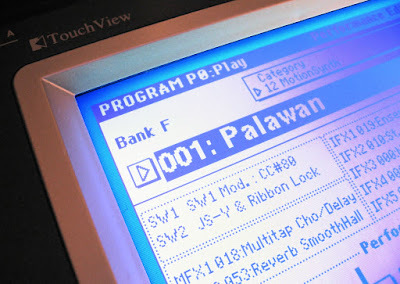 Evolving through the T-series Korg released the 01/W series in 1991 that was my first synth. Still later Korg utilized the same sample based synthesis throughout the 90′s with X -and N-series. But in mid 90′s Korg raised the bar with Trinity workstations that really sounded remarkably “better” and had that cool new generation silver look. As a proud owner of a Trinity plus I tested my friend’s new Triton that was supposed to be the next step in Korg's synth evolution. I remember getting the impression that the Triton didn’t really offer anything over my Trinity. And that impression still holds. The Triton sounds about the same with just slightly bigger sample ROM (32MB vs Trinity’s 24MB) of which many samples are from Trinity. At that time I didn’t realize that Triton has actually slightly inferior synthesis compared to Trinity. The Triton was basically offering a sampler as an addition and I already had one, so there was nothing to get me exited. Besides my Trinity plus had the excellent MOSS-based solo synth inside (SOLO-TRI) that cannot be fitted to the Tritons (but the polyphonic MOSS can). Basic improvements in Triton were things like the mentioned sampler, arpeggiator and it had more polyphony. Some enhancements were also made in the sequencer and effects department but nothing that special. And hardware samplers were going to fade away in few years anyway… A good thing was the added control with four assignable knobs that gives more realtime control over many parameters. The actual sound programming still happens within the menus, but with the big touch screen that’s pretty painless. 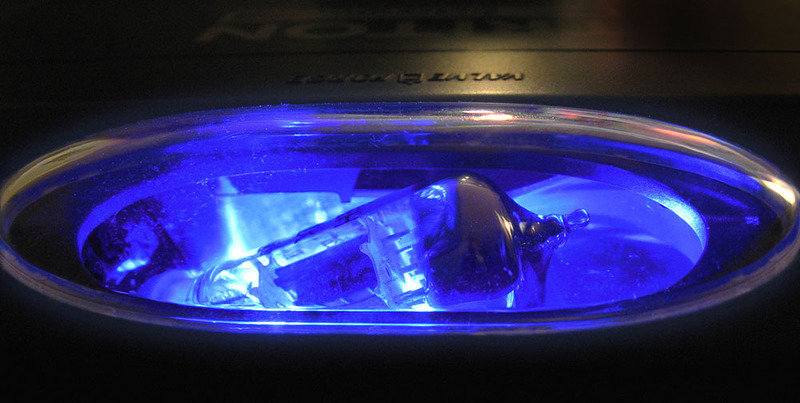 Triton can be fitted with a six voice polyphonic EXB-MOSS expansion that really makes a difference. That’s how it becomes a real synth! 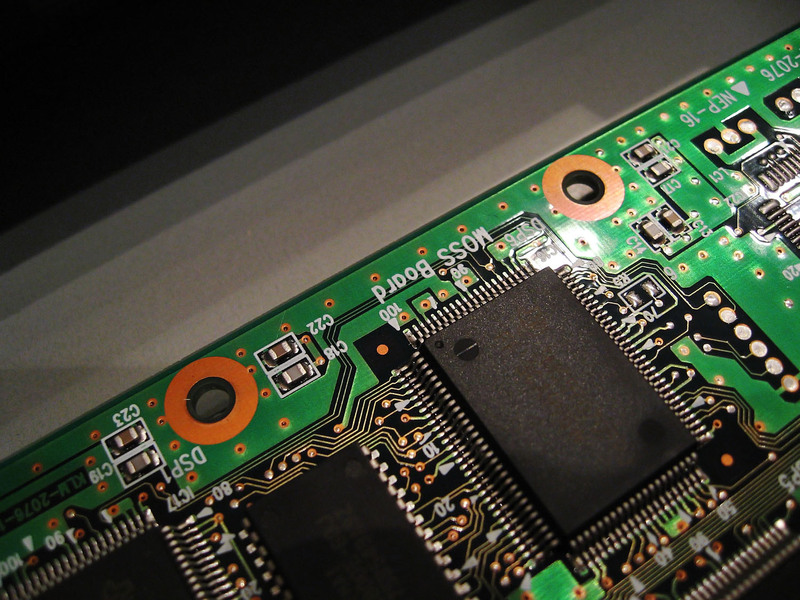 There are also many expansions for the sample ROM and some options for added hardware connections. Many versions of Triton were introduced during the years and the original is often called a “Triton Classic”. There is the budget oriented Triton Le and the expensive Triton Studio. Also the Korg Karma is actually a Triton with a special kind of MIDI arpeggiator (KARMA) that’s not seen in other Tritons. There is KARMA technology in later synths like Oasys, M3 and Kronos. There were some Triton based offspring synths too until the legendary Korg Oasys showed that there can be something more advanced. 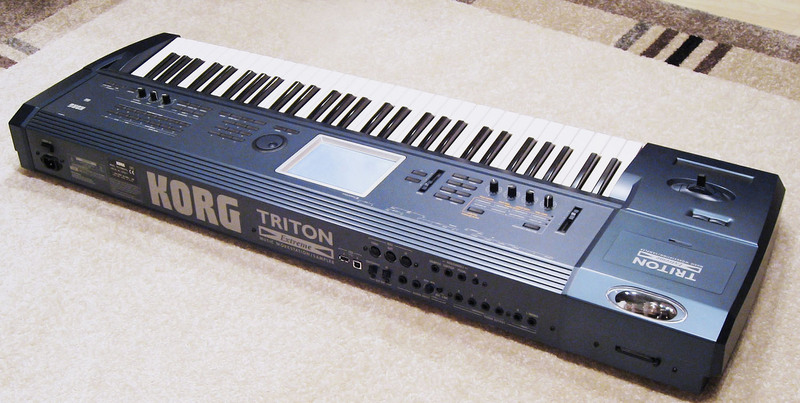 Still it was the Korg M3 that replaced the Tritons and started the third generation of workstation synths. The last of the Tritons, however, was the Triton Extreme that finally cought my eye too. It has all the Triton Studio’s sample ROM and almost every sound expansion ROM built in, along with some totally new samples. I have to admit that it was this huge 160MB sample ROM that affected my decision to finally replace my good old Trinity. Another new feature in the Extreme model is the Valve Force tube (12AU7 [ECC82]) that is supposed to give some analog warmth and overdriven distortion to the sounds. I found it best to be used only subtly. You can actually boost it a lot but you’ll lose some clarity. The valve with it's decorative blue led giving some glow. I also installed the EXB-MOSS to my Extreme that’s basically a six voice version of the Korg Z1 synth inside your Triton. And that’s really worth it! It’s an essential! 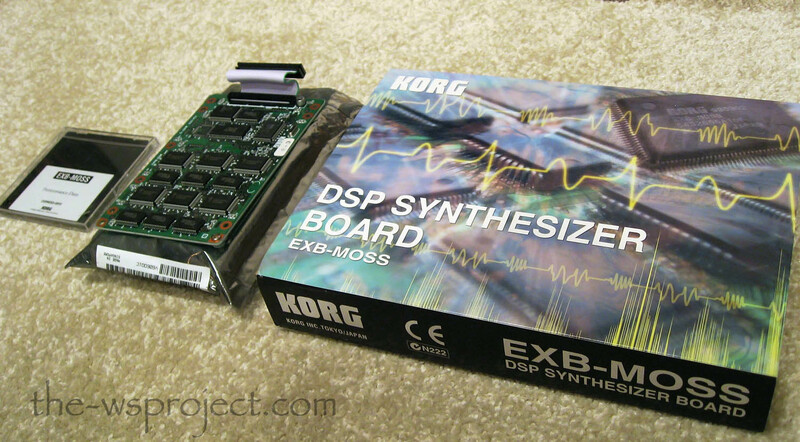 The MOSS (Multi Oscillator Synthesis System) is a DSP-based synthesizer that does quite a lot more than analog modeling. 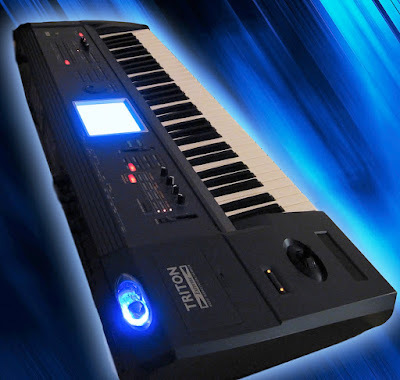 It sounds good and is very versatile giving quite an unlimited world of synthesized sounds with lots of control. The Triton Extreme could easily be your one and only synth, especially with the MOSS. But that’s probably the reason I got rid of it. It offers all your basic needs, all the bread’n butter stuff, without being really outstanding on anything (except the MOSS, which was the only reason I hesitated to sell it). As I have a lot of special synths in my studio, there was no room for a Triton anymore, except as an expensive MIDI controller. I also have to admit I didn’t like the way the presets sounded (and there are lots of them). 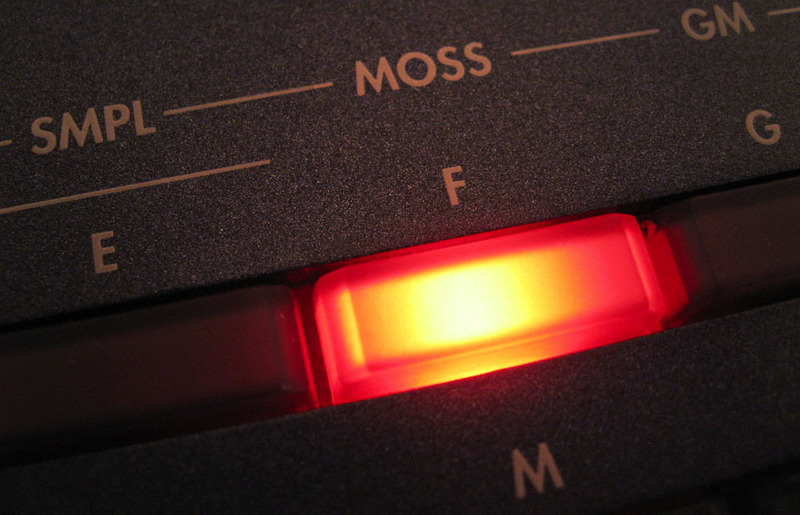 They were all cheaply overproduced by massive amounts of EQ boost and they sounded very flat. Was it because of the effort to compensate a weak sound-engine? Somehow the Trinity did sound richer and better. And now that I have the good old 01/W again, I find the sound of it also more natural and pleasing. 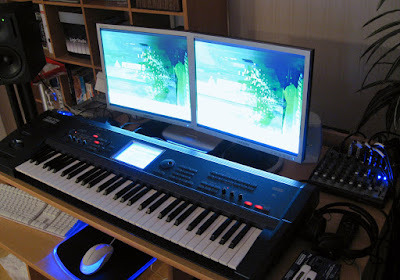 Maybe my next workstation is the Trinity V3… Well, but now there’s the Kronos too! EDIT: Yes, I got the Trinity V3. It also has the MOSS board and I never missed the Triton after selling it.